It’s the 2016 edition of what has become a yearly ritual. However, China’s report spends a great deal of time tackling economic issues, which in its categorization are human rights issues. Statistics on U.S. poverty, homelessness, and lack of health insurance all made it into China’s report. The U.S. report on China, by contrast, did not mention economic well-being except to note that certain groups (such as the disabled) were particularly prone to poverty in China. 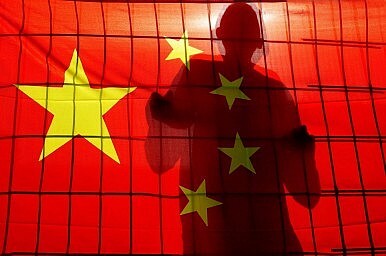 China also used crime statistics – including the number of robberies – as a black mark against the United States. China, the West and the question of loyalty. China FM’s Reprimanding of Canadian Journalist the Tip of the IcebergUN Committee Urges China to Halt TortureThe Consequences of China's Obsession With StabilityAhead of Xi's US Trip, China Defends Record on Human RightsA Chinese Rights Revolution Reversed?